Leading the digital transformation of the entire Electricity Value Network, GE delivers increased grid resiliency, reliability and energy efficiency with their advanced collaborative control distribution solutions. Grid Solutions business from GE Energy Connections (NYSE: GE), one of the world's premier providers of grid modernization software solutions, announced it has again been positioned by Gartner, Inc. as a leading provider of ADMS within their "Magic Quadrant for Advanced Distribution Management Systems" report, based on its ability to execute and completeness of vision. 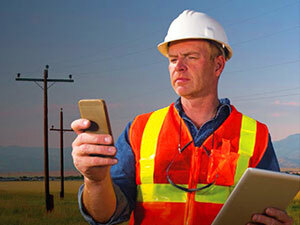 "We consider our position in Gartner's leaders' quadrant to be confirmation of our strategy to empower utility employees to work collaboratively across organization & systems - anywhere & anytime - to drive maximum operational efficiency" said Keith Grassi, Product Line Leader for Distribution and Grid Modernization Solutions at GE. "Envisioning and driving solution innovation to increase grid reliability and situational intelligence, transform outage response and integrate distributed energy resources (DER) is essential in delivering the control room of the future and critical for our customers in this increasingly dynamic industry." Gartner is a leading information technology research and advisory company and its Magic Quadrant reports offer visual snapshots, in-depth analyses and actionable advice that provide insight into a market's direction, maturity and participants. GE's leadership position was stated in Gartner's 2017 Magic Quadrant for ADMS report* where it analyzed the capabilities of eight vendors. This was the fourth consecutive year for GE to be recognized as a leader in this report. Built on more than 35 years of collective industry experience and collaboration with electric utilities and research organizations around the world, GE's modular ADMS delivers reliability, productivity and efficiency via one platform, a single network model and a simplified operational workflow. Utilizing real-time network information spanning EHV to LV, GE's ADMS supports over 150 utilities world-wide to solve the challenges of an increasingly dynamic energy mix as renewables and DER adoption increases across global distribution networks. Grid Solutions is the utility partner of choice to deliver fully connected solutions for consumers, prosumers and utility operations across the enterprise. Providing a digital ADMS that incorporates renewables at all points across the network and with the necessary flexibility of operating at the grid edge to on premise, mobile and up to the cloud, GE's depth of domain knowledge as well as solution offerings is unmatched by others in the industry. "GE is uniquely positioned to deliver on utility grid transformation challenges based on our extensive global customer base experience and our technology innovation. Our continued investment in our ADMS solution and wider portfolio (EMS, GIS, OMS, DERMS MWFM & Analytics) is foundational to reimagining our customers' business processes to drive greater productivity and better business outcomes" stated Jim Walsh, GM for Grid Software Solutions. "GE is at the forefront of digital transformation across the Electricity Value Network from generation through transmission and distribution to usage management with its Predix platform providing industrial depth, scalability and security to drive grid edge intelligence and actionable insights from analytics to drive more informed decisions."